“You shouldn’t be living here alone.” A&E has released a new first look at the upcoming final season of Bates Motel. 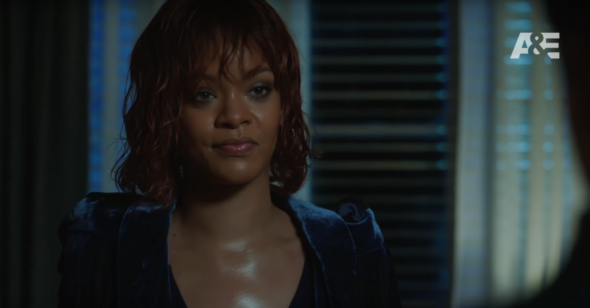 As reported earlier, the final season of the Psycho prequel will feature Rihanna as Marion Crane, the role made famous by Janet Leigh in the original Alfred Hitchcock film. The new season will also feature an episode written by star Freddie Highmore. What do you think? Do you watch Bates Motel? Are you looking forward to the final season? hate to see bates motel ending I will miss all the cast and the great writing it kept me wondering what was next. cant wait to see what series you come up with next. your fan LONNIE from TN.